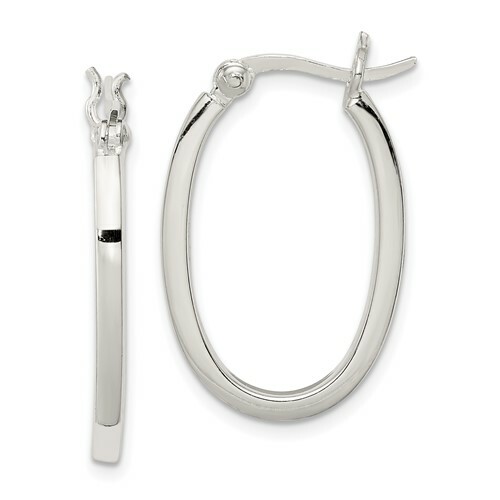 Sterling silver oval hoop earrings have a square profile. Measures 1 inch tall. Thickness: 2mm. Weight: 1.25 grams. Import.